Utilizing the standards of several worldwide associations ensures that the manufactured & supplied equipment will be consistent in quality for the end user performance criteria, regardless of where the products are sourced. The American Petroleum Institute (API) and International Standards Organization (ISO) are two of the most respected standard associations globally and are especially in force in the North American oil & gas industry. Our flexible coupling customers rely on these API & ISO organizations technical committees to research and advise on conditions that may affect the high performance requirements of rotating equipment. End users will either use these API / ISO standards for their equipment or enhance them to ensure they receive quality manufactured equipment that performs to the intended field conditions. 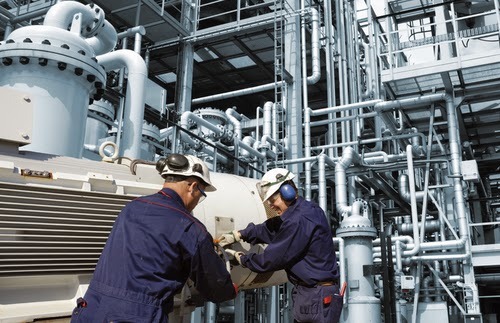 In the oil & gas industries and especially in the refining marketplace compliance to the API610, API671, API676 or ISO 10441 standards is required for a majority of flexible coupling applications. The AGMA 9000 Class 9 is also a base for coupling design and supply under the API standards. The coupling compliance and approval process requires a review of either the applicable API Standards, the customer Standards or enhanced Standards incorporating both API and Customer requirements. The approval process involves detailed review of the specific application criteria; examples would be material, tolerances, component design, speed considerations and balance for various flexible coupling rotating equipment installations. One must understand why the customer has specified either the API/ ISO standards, the API / ISO package in conjunction with client’s specifications or client’s standalone requirements. By understanding our customer’s position the suppliers will have a positive effect on their submission for the technical and supply approval process. For more information on API couplings, please see the API 610 Standard - Coupling Highlights and API 671 Coupling Standard blog posts.